I made three versions of a sitting room, each in a different style. 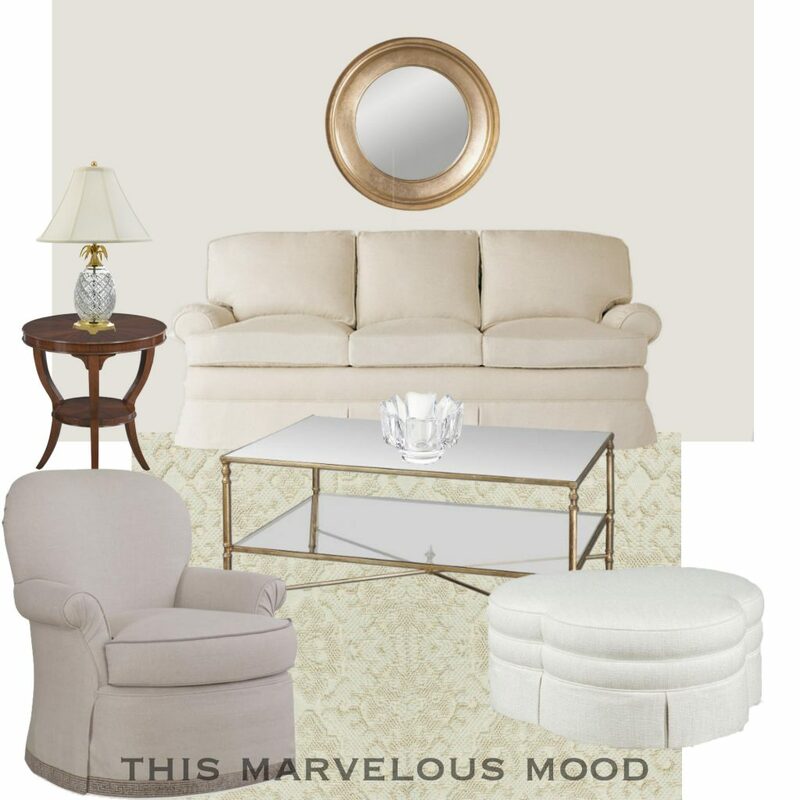 To highlight their differences, I made all in neutral tones and as simple and similar as possible. I just selected styles I was curious about and chose pieces I thought represented them. 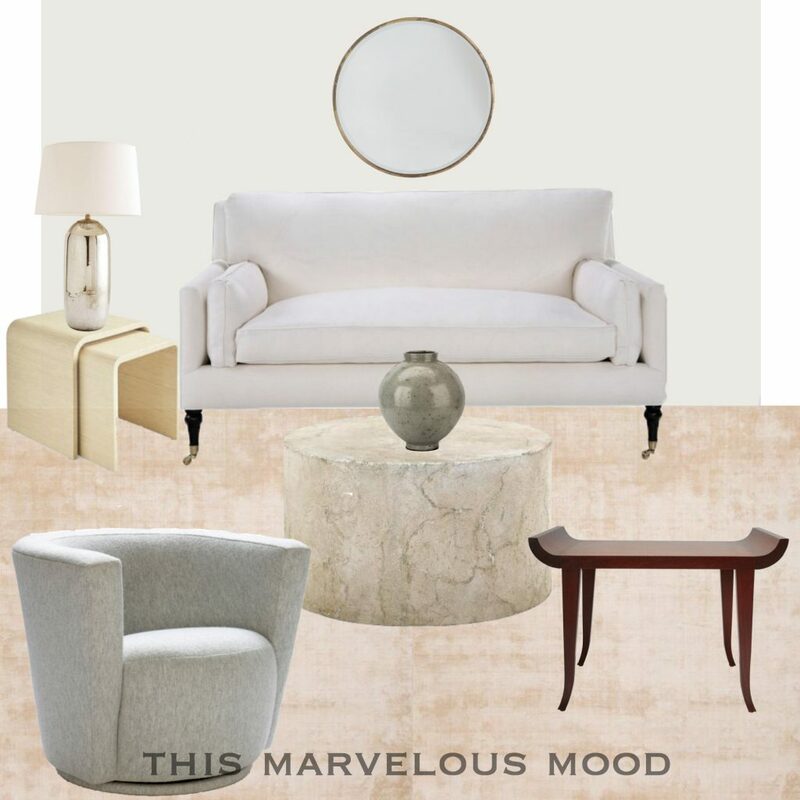 a sofa, side-table, lamp, etc…. just switching them out stylistically. since brown wood is classic enough to be a neutral. Nothing hair raising about any of these. But they do show a shift. Especially from the far left to far right. 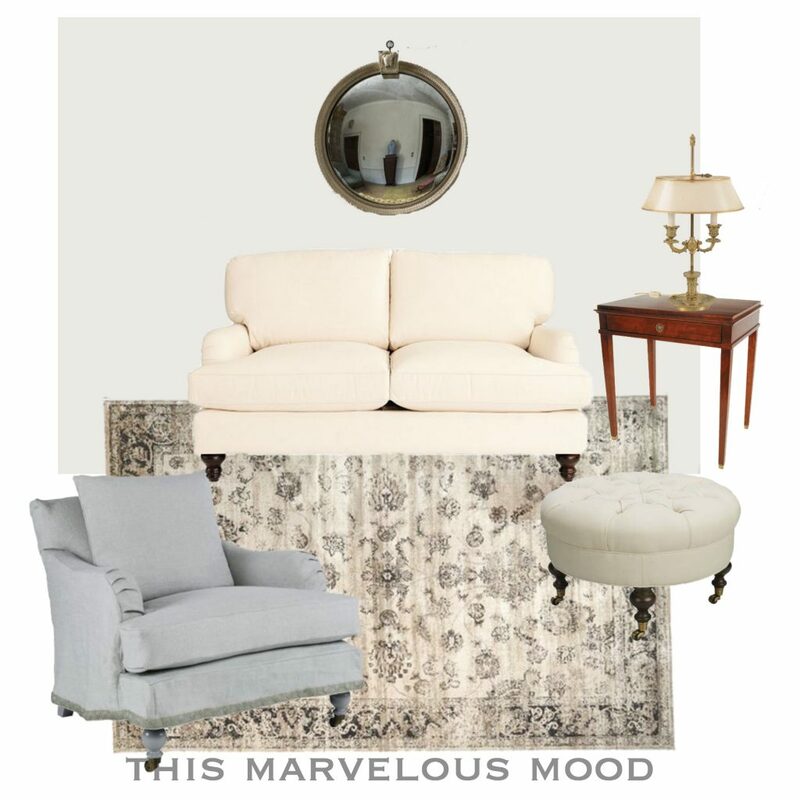 I love the cool grey of the bergere against the creamy couch, and both contrasting with the grisaille rug. Old world seems to mean curves, tucks, soft shapes, and embellishment beyond strict necessity. My grandmother would approve of this room. My mother, too, if I added some knick knacks. Traditional seems to pull back on the embellishment but still retain some flounce. Maybe a bit bland? I want to point out this side chair is a swivel rocker from Century. Love. My mother had a pair of swivel chairs in her living room and they were always the most popular place to sit. I eschewed contemporary design for the longest time, but I find this soothing and beautiful. Contemporary seems to streamline, nice and taut. For being neutral, these rooms are surprisingly colourful. Without saturated colors interfering, a group of neutrals can be quite lively. Though, if I look closely, maybe some of these neutrals are really just pale colors. Admittedly, these are broad categories with infinite permutations and sub-categories within them. But I got something out of designing with these imprecise strokes. If you have any suggestions, I could make a new board illustrating them. Or any other styles you would like to see explored. and sharpen your sense of design at the same time. and hurrah for Spring, even if it is still snowing.